As spring finally emerges from the frosty swell of what turned out to be a harsh winter, there are some things you need to be cautious of as you meander out on your warm weather excursions. 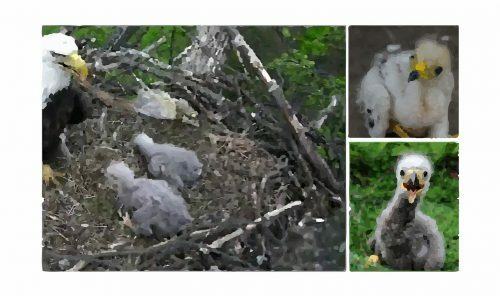 Of course we all know to avoid the baby skunks as we go about taking photographs or looking for deer sheds or morel mushrooms, but did you know that you need to be cautious about baby eagles too? Evidently, the young eagles will begin trying to fly before they are ready and many actually end up on the ground after having become emboldened, (by the very fact that they are eagles I suppose), to try their wings before they are ready, and tumbling to the ground. And so it was in such a predicament that I found myself in one fine spring day when I was just a boy. I lived near a state park in Ohio and decided that I would forgo the farm pond that I usually fished and meander the five miles or so to Acton Lake at the Hueston Woods State Park. This was a more worthy adventure for two reasons. One: it was a state lake and required a fishing license, which I didn’t have, so it gave an additional element of adventure to my nine year old mind, and two: it was well out of earshot of my dad who was notorious for ruining my fishing forays with his various fool notions, (moving hay from one barn to the other for instance). So it was with light heart and heavy worm can that I headed across the McQuiston’s pasture and into the wilds of Hueston Woods. I was nearly to the horseman’s camp when I came across this sweet little bundle of grey fur that looked just adorable. His little long legs and oversize yellow beak were irresistible to me as I scooped him up as he attempted to scurry off. His cute little pecks against my wrist were almost comical and though I didn’t know right then what kind of bird he was, I knew that he was a raptor of some sort and my mind was immediately filled with thoughts of becoming a falconer, raising this young bird to be my constant wilderness companion. I envisioned having a T stand built for him to perch on in my room and could just taste the wide array of small game that me and Ziggy could attain. My, but couldn’t he howl? 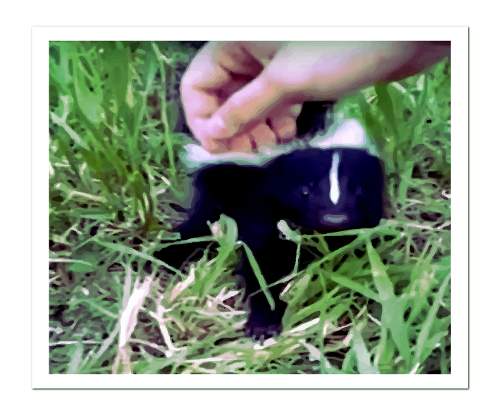 I was very surprised that such a little guy could work up such a piercing screech, but was confident I could train him not to shriek so. It was then that all hell broke loose. Apparently mommy eagles don’t abandon their young when they fall from the nest because the next thing I knew I was in the fight of my young life. Here’s another interesting note. Eagles attack in pairs. Did you know that? And they are tenacious as well, being willing to follow an adversary for several miles if the atrocity committed is serious enough. I recently found myself driving the several hundred mile trip to Camp LeJuene North Carolina to spend four and one half hours of liberty with my Marine son who was at the New River Air Base attending MCT at Camp Geiger. Though I knew I was only going to get a few short hours with the boy, I arrived a day early and brought my two best cameras with me so that I could get some photography opportunities if any were to present themselves. It turns out that it rained the whole way down, (except for when it snowed), and I got very few good shots even though I had driven through the Cumberland Gap, Bean Station, Tennessee, and Moravian Falls. All that changed once I arrived at Jackonsville, NC though. It was here, while I was awaiting the opportunity to check into my hotel for the night, that I did a quick google search for local attractions. The very first listed attraction near me was the Lynnwood Park Zoo located at 1071 Wells Rd. in Jacksonville, NC, (phone number is: 910-938-5848). This is a cash only zoo, but the price of admission is only ten bucks, so I took a chance and went. Boy am I glad I did. Not only do they have a very nice selection of animal exhibits, (which are photograph friendly), but about halfway through the exhibit, two handlers are there to give you a personal encounter with many of the more exotic and personal animals. I was allowed to handle and experience a variety of snakes, a tortoise, a very soft chicken, a blue tongue skink, and Rufus the hairless rat. I had a blast and got lots of extraordinary photographs to boot. 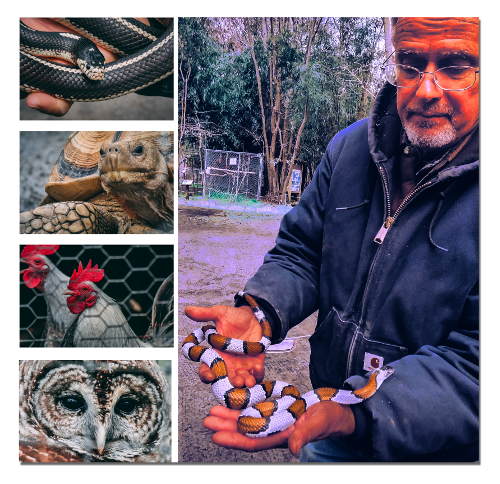 I can’t recommend this little private zoo highly enough, and if you are going to Camp LeJuene anytime soon, or just want to visit the Carolinas on a military surplus tent adventure with the family this year, make sure you put Lynwood Park Zoo on your agenda. I assure you that you’ll be glad you did. I am a connoisseur of all things military. I absolutely love to go to the military surplus store and buy any and everything I can get my grubs on; however, most of these things end up getting pushed into my shed or garage, and forgotten about. Now I’m not talking about the bug things, like my military surplus tent, or the humvee that was sold because it didn’t meet military standards anymore. Those of course have their uses, but today I want to talk specifically about those pieces of military surplus that you can and should use every single day. Here are four specific items, (and where to get them), that I use every single day. A military surplus web belt. The good news is that khaki goes with everything. And if you are at all like me, then you need to wear a belt everywhere you go regardless of whether you are in BDUs or not. (If for no other reason than to anchor your inside the pants holster appropriately). 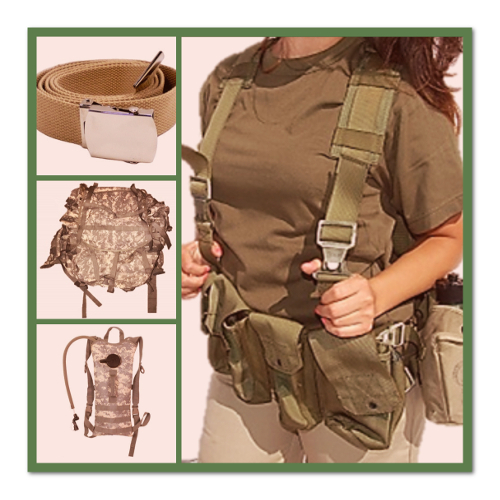 A military surplus backpack with frame. I love MOLLE gear. You can do anything you want with that stuff, and I use my pack in place of luggage and a purse. Not that I ever carried a purse, but the concept is sound. GI combat harness. 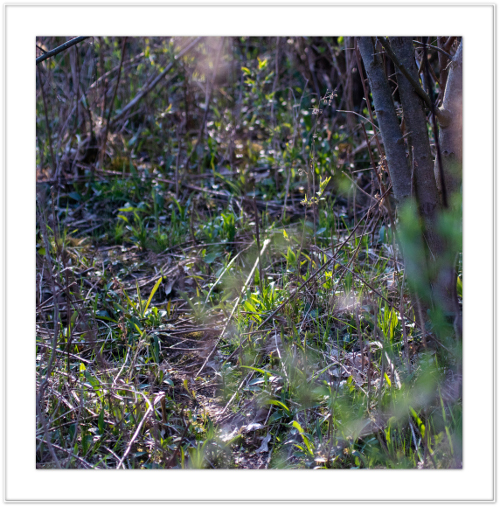 I’m a photographer and a survivalist. I always have the need to have a piece of equipment handy in order to perform whatever function is at hand. 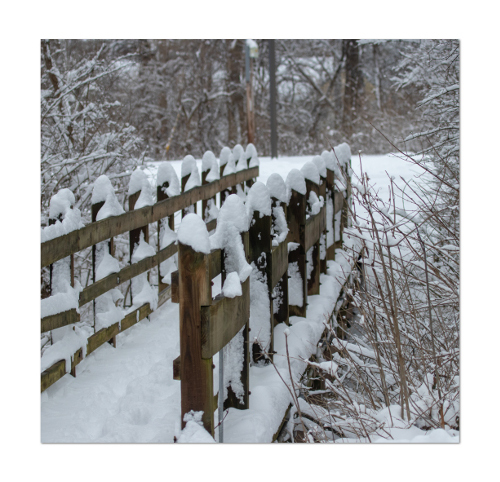 We have recently gotten hit with one of the harshest winter storms that I can remember. I was eight years old during the blizzard of 1978, and this past week I was having flashbacks to then as I tried to drive a stranded motorist home in a complete white out. I was forced to turn around and go back, but it occurred to me how easily I could end up in a snowbank with the responsibility of keeping my very civilized, non-survivalist passenger in tow who only had a very thin windbreaker on and thin pants with no thermal undergarments to speak of. The temperature was around 12 without taking into account the wind chill factor. So here’s the question, what would he have done if we ended in the ditch? No problem, right? You just keep the car running until you’re rescued, right? Well, maybe; but, what do you do if you get snowed in beyond the time that it is going to take to get rescued? The vehicle is your best bet, as it is certainly shelter, but there are three things you can do to better your odds of riding the storm out in the event that you have nothing but the thin clothes on your back and you’re snowbound in your car. Consider the sacred order of survival. Specifically you need: shelter, water, fire, and food in that order. Shelter you have in the form of the vehicle, and water is plentiful in the form of snow. However, you must realize that you have to melt the snow to drink it, don’t just eat the snow because you are lowering your internal temperature when you do. As a matter of fact you should drink your pee immediately in a situation like this, simply because it is already 98 degrees and you don’t have to waste energy having your body reheat it. Use the insulation at hand. Never forget that your car seats are made out of great insulating foam. Don’t be afraid to cut this out and line your clothing with it, creating dead air space between your skin and your clothing will keep you warmer as your body heats that dead air that is trapped. Keep the door closed. Your shelter is only going to have one source of heat when the engine runs out of gas… you. Keep your body heat inside as much as possible and if worse comes to worse then consider making a nest in the snow and trying to build a fire in it from flammable parts of your car for warmth. However, never burn what can be used as personal insulation, and make sure any smoke you create has an escape vent so you don’t breathe toxic fumes. Ok, so I have my kayak purchased and I have been practicing with it in my swimming pool. It is very tippy. And while this is unfortunate, it is not a tragedy because it is very easy to get out of too. However, water and cameras don’t mix well, so I will be practicing extensively with this dude before I get any of my camera gear into it. Perhaps I will visit the local goodwill store or get online and find a nice little zoom camera like the Canon Powershot SX20 IS, which will shoot high definition video and has digital zoom capabilities that allow it to be shot at up to 500mm. 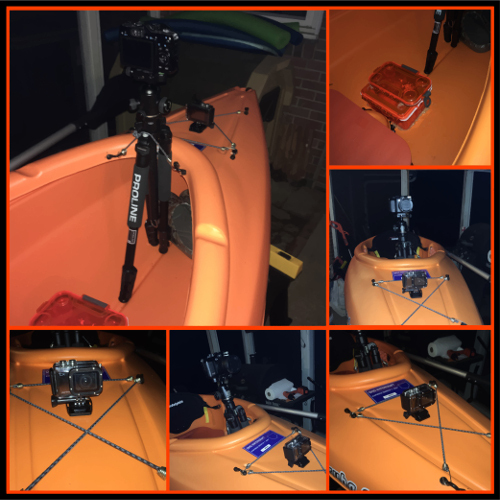 I had purchased a Canon G series G1X for these romps into the lakeside wilderness, but with a $400+ pricetag, the tippiness of this kayak has left me feeling less than optimistic about taking this little camera out. 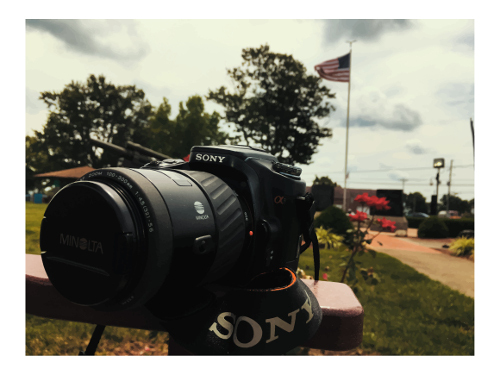 I had previously written about a cute little Sony a100 I purchased for $37 that I ended up selling for $250 to an enterprising young lad who wanted to get a start in photography. The problem with the cheaper Sony was the fact that it doesn’t shoot video and it leaves a lot to be desired in really low light. I definitely don’t want to be juggling two cameras in a kayak… but I digress. 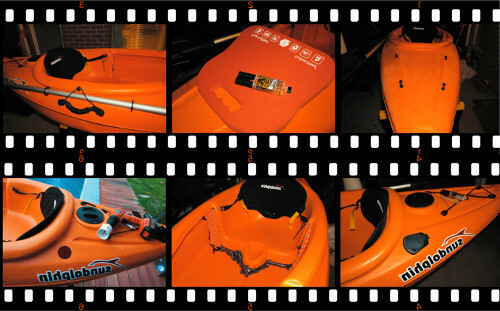 This is a blog about kayak modifications; and here are three must have mods for photography. Fishing rod holder. As simple as cutting a hole, drilling three more, and pulling three rivets. Viola! You have a fishing rod holder. This is very important because when there is nothing to photograph you are going to need something to do. Handle and oar holder. Needed so that you can have both hands free to grab camera and tripod to keep them as safe as possible. you don’t want to be juggling a double paddled oar while trying to handle your gear. A comfortable seat. If you are going to be going after eagles like I am, you will need to have some padding on your rear. Make that seat as comfortable as possible.